Well it wasn’t that bad football fans was it? 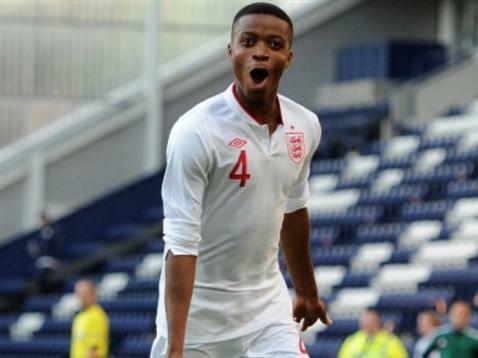 England : England have some good young players in their team a lot of which are shining at Championship and not Premier League level and this could be key for their chances as other nations have players playing in the top leagues. Players I like in the England squad are Clyne, Chalobah, Caulker, Zaha and Ince so its more solid than anything else which should see England advance from the group but for me they won’t get past the semi final as they will be in for a tough match regardless when you look at Group B.
Israel : The hosts Israel will just be happy to be here and will hope their unknown quantity will surprise a few teams in their group. Every single one of their players plays for an Israeli club with the exception of Omri altman who is on the books of Fulham. Never underestimate a nation in their home country hosting a tournament as many have done this in the past for bigger tournaments but this is a difficult group for the hosts and I can’t see them getting out this group. 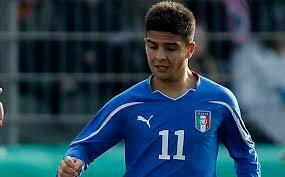 Italy : This is a very good young Italian side that possesses a lot of attacking quality. For me they will win this group due to the solid defence and midfield as you’d expect but mainly due to their quality in attack. Names like Bardi, Verratti, Marrone, Immobile, Insigne, Gabbiadini, Destro & Borini all stand out and I can see them winning the group but again like England being knocked out in the semi finals. Norway : This is a nation very much building a great young team at this level and national team level, I reckon the Norwegians will be a great side in a few years time. This squad will run England close for second place in my view and it wouldn’t surprise me if they pipped the English, I think they will just fall shot but players I like in this side is Singh, Berisha, Henriksen, Nordtveit, Eikrem, Elabdellaoui, Berget and Nielsen. Expect a strong showing from this side. Russia : A very good young Russian side will make this group of powerhouses interesting as they too have talent. Dzagoev, Kokorin & Kanunnikov are the star players for me and the defences will have to be on guard with those three. Russia do have the ability to do something against these big teams so I wouldn’t ever rule out an upset especially when you have talent like Russia do. For me this task will be too great though as the defence will struggle against quality striker forces. 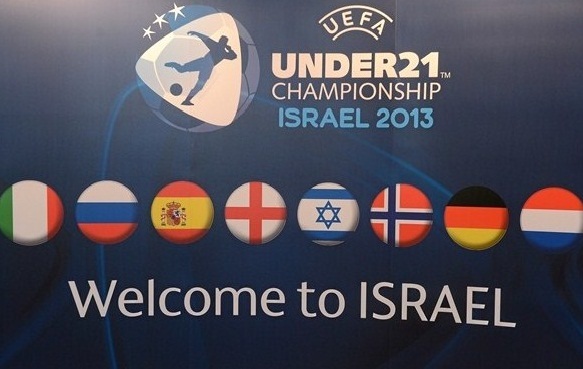 They could be one of the better teams to finish bottom of a European U’21 Group thats for sure. Spain : People reading will think I’m crazy writing off the favourites according to the bookies Spain but for me Germany and Holland will do the business. Spain have De Gea, Montoya, Bantra, Muniesa, Carvajal, Canales, Koke, Isco, Rodrigo, Tello & Muniain to name a few excellent team, superb potential superstars in it but its all about the setups and I can see Spain getting pipped into 3rd place in this group. Of course you can never rule out such a talented squad and they aren’t given the favourite’s tag for nothing but I can only call it how I see it and my crazy prediction is this Spain side won’t win this tournament and the final will be Germany v Holland! This kid is a star in the making, can play in defence or midfield Sierra Leone born Chalobah had a brilliant season at Watford on loan from Chelsea. Excellent engine and technique I reckon this lad will make a name for himself at this tournament and very much a player to keep an eye on in the coming years. Both players had excellent seasons at their respective clubs PSG & Napoli. 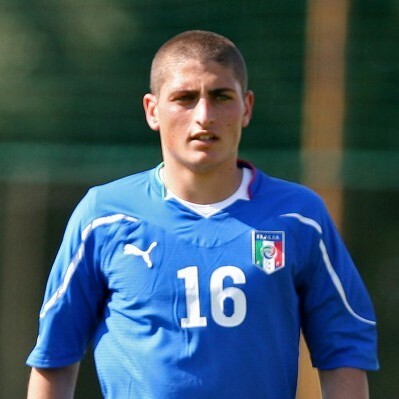 Verratti is a player who plays the game like a veteran despite his young years, strong in the tackle and can pass abit also. Insigne is possibly one of the quickest footballers in world football and not many will catch this lad, he knows where the net is also and has 5 goals from 8 appearances at this level for Italy. Both players are absolute quality. Both players impressed immensely at their respective Bundesliga clubs Hoffenheim & Gladbach this season. Rudy like I said in the Germany review above is much sought after with numerous stand out showings in a Hoffenheim team that struggled but due to a late run saved their Bundesliga status via the playoff. Gritty tough tackling player is Rudy he has excellent stamina and is an all round classy player. 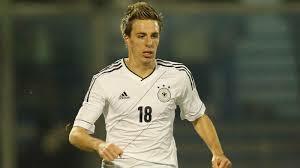 Herrmann is a player who is very quick and skillful and started out as a winger but has been deployed to great effect through the middle, I reckon this lad will get a big move either off the back of this Championship or after another impressive Bundesliga season. Spurs were linked until he signed a new deal recently. Big things expected of two star German talents.